What Is Localvantia Program? and Why you should Join It? and Why you should Join It? What Is Localvantia and what does it mean? Localvantia is a new, powerful and groundbreaking royalty program that was launched recently in December 5, 2017 by SFI Marketing Group. The word Localvantia means local advantage. This new program was introduced to help affiliates of SFI to gain their monthly qualifying rank simply by shopping in their groceries and dinning in their favorite restaurants. What is the reward of Localvantia? Localvantia will give you digital tokens through its branch Rewardicals and these can be redeemed to many goodies such as free Bitcoin, VersaPoints, TCredits or whatever goodies you want. On the other hand, you could join this program without being a member in SFI Marrketing Group. Thus, you do not need to change tokens into VersaPoints but to gift certificate in which you could buy any products. Localvantia is not limited to restaurants, groceries and shopping. It includes anything that is consumed locally. In this way, you will continue purchasing what you already purchase and with gaining Rewardical tokens that can be redeemed to VersaPoints that raise your rank in SFI Marketing Groups if you are a member there or redeemed to many goodies including Bitcoins or gift certificate. Pre-register Your Local Merchants in Localvantia. In order to benefit from Localvantia, you should pre-register your local merchants. I mean those that you shop in such as the groceries in which you buy your things, the gas station where you fuel your car, the restaurants you dine there and many more. If you pre- register your merchant and then shop in it, you will gain ten double if you just shop in any store that was registered by another one. You are called the account manager of these stores. 1- You should visit your local merchant, whether it is a grocery, a restaurant or a fuel station. You should ask for permission to take a photo of their storefront after introducing the program to them. and fill in the form and upload the photo you have taken for the storefront. 3- After pre- registering your merchant, You can get a letter written in English or in your language in which there is a code of the merchant. You could send the letter by email or send it by hand. I personally prefer to send it by hand so as to keep in touch with the merchant. 4- The merchant will open this link www.localvantia.com/go and fill a form and after being accepted in this program, You could start shopping in this store and gaining Rewardical tokens. 1- You should make a purchase at any local merchant that is registered in Localvantia Program whether you registered it or somebody else did. 2- Fill in the Points Claim Form in localvantia.com and attach a receipt to prove your purchase. 3- The merchant will be invoiced and once he paid the cost of the points, you will be paid Rewardical Tokens. 4- That’s it. It is very simple for you and for the merchant. Go ahead and register in Localvantia and Rewardical Program. In order to succeed in Localvantia, you should follow your merchants after pre- registering them by visiting them, sending emails or calling them. This will give trust to your work and keeps your merchants enthusiastic to continue working with this program. Thank you for letting us know how to use this unique program. So, the program work with any type of market or store, this is awesome! Thanks for reading this article. Yes the program works with any type of local market. , You could earn all these Rewardical tokens with no additional expenses. just buy what you already buy! that’s it! I seem to have heard of SFI can you tell me what it stands for? Do you get a commission for getting new clients to sign up or do you just get points? Can the points be exchanged for cash? Is it restricted to certain countries? Thanks a lot for reading my article. I have been with SFI for 5 years. It stands for Strong Future International.. and MG means Marketing Group. I got commissions for advertising and selling their products and for getting new clients that’s building a team . Also I link my store at Wealthy affiliate for advertising and people buy from my store and there are many other things.. Everybody can participate.. It is not restricted to certain countries. Very cool. 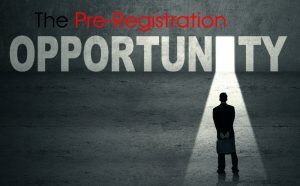 I have registered. Thank you! I am pleased to meet you and very excited that you join me. I will help you to understand everything. Wishing you great success my dear. 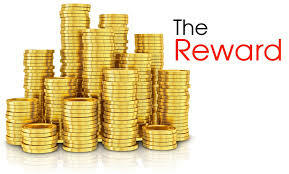 This is awesome because, from now on, for every 10 Rewardicals earned by catherine, you’ll automatically earn one Rewardical, which you can redeem on any item of your choice at the Rewardical exchange. You could add many referrals and earn many new Tokens which can be changed to many things.. Have a great weekend! Never heard of this prior to reading your article. Very interesting! Yes it is an interesting program because it is free and you gain rewards while shopping your things.. Any queries ask me. This is very cool, I am surprised I have not heard more about it, I will talk over with my family and we will probably join! This is a new program and it is free. It is nice to earn while shopping your usual things. All the best! Is this like a network marketing thing then? Does it work anywhere in the world. So to understand this correctly, do I need to go to local businesses and get them signed up on the program, and then when i shop there I get rewards? Thanks Zulfaqar for your comment.It works as network compny if you join the mother company SFI Marketing Program. Either you join this program and register the shops that you shop in.. If they accept to join and become Localvantia merchants then you will earn while shopping. The other option is to join this program and find shops, restaurants or stations or any thing you want and shop from them . In this way you will earn but less than the one who registered the shop. You question attracted my attention to add this note in the article. If you decide to join I will help you understand everything.. Don’t worry! Thank you Rania, It’s worthy information, I have never heard about, I’ll give a try! Thanks Nabil for your comment. This is a new program of the mother company SFI Marketing Group.. I have been with them for 5 years. This program was launched few months ago and it is going very strongly. It is free so you can give it a try! Thank you, Rania, for this information. I’ve never heard of this before. It seems to cover many areas a person can do business with. Thanks Suzanne for your nice comment. Yes it is available in Canada and all countries of the world. This is a new program of the mother company SFI Marketing Group.. I have been with them for 5 years. This program was launched few months ago and it is going very strongly. It is free so you can have a try!